Public health officials have told American parents to give their 11-year-old daughters the human papilloma virus, or HPV, vaccine. And drug company lobbyists are trying to persuade state legislators to mandate the vaccine for sixth grade girls. Now, some are talking about the need to vaccinate boys too. But how much does the American public really know about HPV infection, cervical cancer and the newly licensed HPV vaccine, GARDASIL, or the HPV vaccine soon to be licensed, CERVARIX? Come hear the story behind the story on Friday, April 13 at 6:00 p.m. at Judson Memorial Church, 55 Washington Square South, Manhattan. Admission is free. 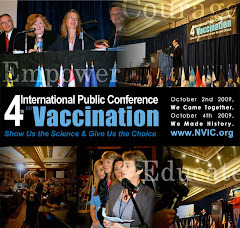 Barbara Loe Fisher, is co-founder and president of the National Vaccine Information Center, a non-profit, educational organization dedicated to preventing vaccine injuries and deaths through public education and defending the informed consent ethic. 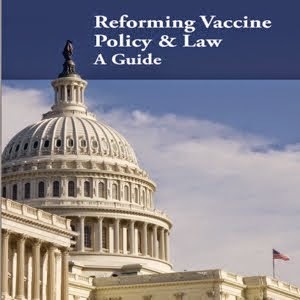 She is the co-author of the 1985 book DPT: A Shot in the Dark and has been the leader of the vaccine safety and informed consent movement for the past quarter century. She has served on the National Vaccine Advisory Committee, Institute of Medicine Vaccine Safety Forum and the FDA Vaccines and Related Biological Products Advisory Committee. Vicky Debold, Ph.D., RN is health policy analyst for the National Vaccine Information Center. She served as an assistant professor at the University of Michigan; an associate professor and director of the Health Systems Management Program at the University of Detroit, Mercy; and health policy analyst for the U.S. Congress at the Physician Payment Review Commission, the Michigan Health and Safety Coalition and the Michigan State Commission on Patient Safety. The evening is sponsored by the Center for Medical Consumers. Thank you so much for investigative reporting on vaccines. I have 2 premie twins and 1 single birth grandchildren, all in vitro. May God give us the wisdom to put forth this information and use it well with our children. Bless you.